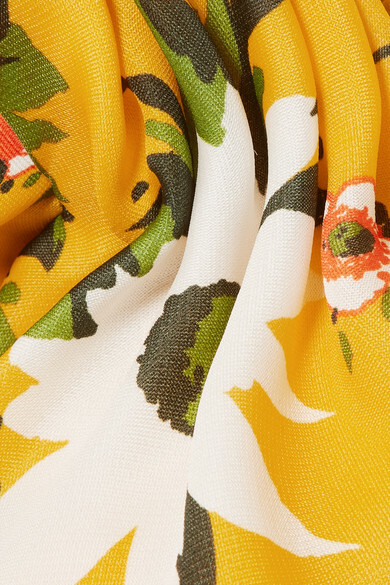 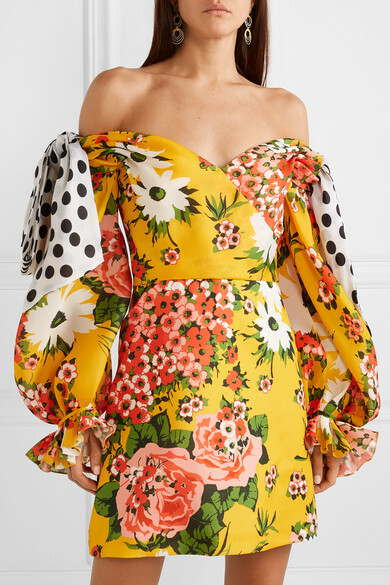 Wes Gordon's Spring '19 collection for Carolina Herrera is inspired by '70s-era photos of the label's founder looking happy and confident in vibrant outfits. 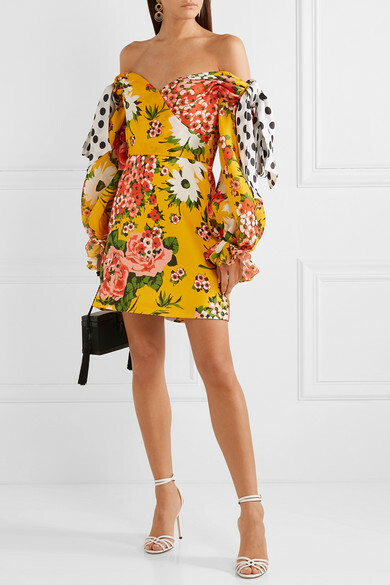 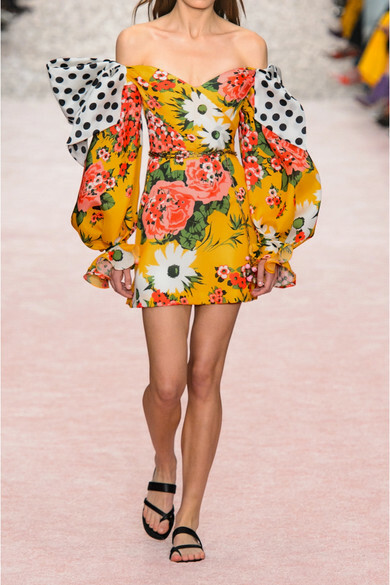 This bold, floral-print mini dress is made from silk-organza and has knotted polka-dot trims at the voluminous sleeves. 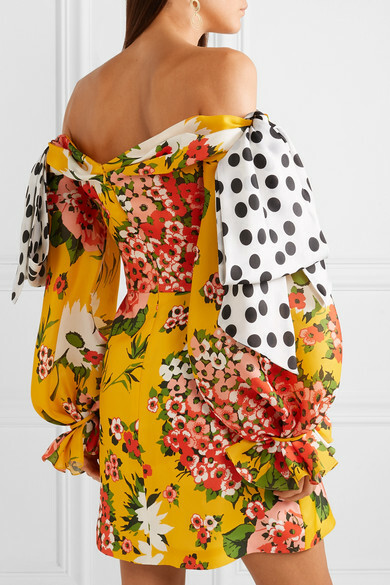 The off-the-shoulder neckline perfectly frames the décolletage . 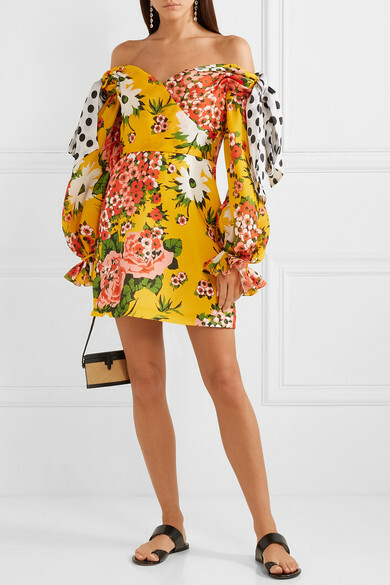 Shown here with: Hunting Season Shoulder bag, Jimmy Choo Sandals, Buccellati Earrings.